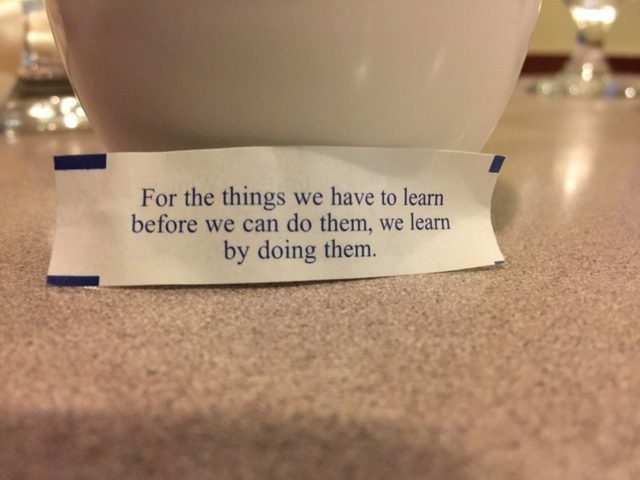 So mostly it’s taught by the experienced to the newcomers, and you learn – and get better – by doing. Here at HBG we do love training newbies and sharing our enthusiasm for our great profession, and intensive one-on-one mentoring is a great way to fast-track a beginner’s skill set. The flip side is, of course, that it’s one of the more expensive options. If one-on-one training isn’t in your budget, chances are good that an APRA Chapter near you is offering a conference, seminar or webinar sometime in the next couple of months. Primarily taught by experienced volunteers, these sessions are a great training option. Helpfully for newcomers, many chapters (like my superstar home chapter, NEDRA) also do annual or semi-annual ‘Boot Camps’ for tailored just to their needs. For ongoing continuing education, the California chapter, CARA, has several inexpensive live and previously-recorded webinars for purchase on their website. Most of the vendors that provide services to the prospect research community also offer free podcasts, white papers, and webinars on their websites. The Prospect Research Institute provides a handy calendar of association conferences and seminars, and also offers web classes on a wide variety of prospect development topics. Most excitingly, our cousins up North have just released a brand new book called Prospect Research in Canada! Edited by Tracey Church and Liz Rejman, two leaders (and forces of nature!) in our field, the book features expert authors taking a soup-to-nuts overview of fundraising research with a special focus on – but not limiting themselves solely to – Canada. Other how-to reference books on prospect research include the one I co-wrote with Jen Filla, Prospect Research for Fundraisers, the essential handbook, and Cecilia Hogan’s seminal Prospect Research, a Primer for Growing Nonprofits. Finally, for those of you just starting out, or doing prospect research on your own, you should be aware that there are websites created just for you by prospect researchers with their favorite links to the most reliable information on the Deep Web. Start here on this page (registration is free). We update the links regularly and work hard to not only include my team’s favorite sites, but we also link to other prospect researchers’ resource pages. (If you’re a prospect researcher and we’ve missed yours, email and let us know!) These resources cover not only North America but also Asia, Europe and the Middle East, so if you’ve expanded your fundraising horizons to include international prospects, look no further for great information!